Devon has a history that stretches back into prehistory. 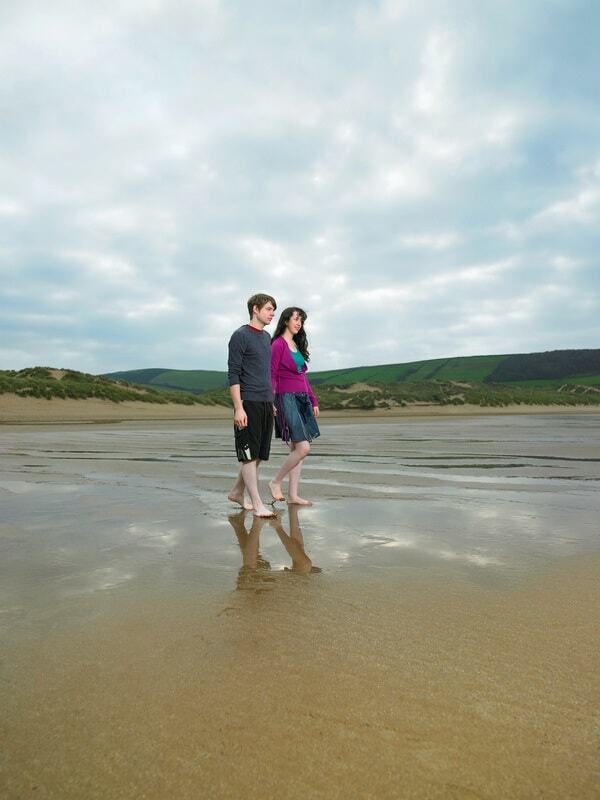 People have lived in Devon as long as people have lived in the British Isles, so there is a lot of history to take in. The history of the island has been one of conflict, and Devon is no exception. However, there are some remarkable peaceful slices of Devon history to be seen in this beautiful county. Here is a brief guide to some of the best bits you can visit. 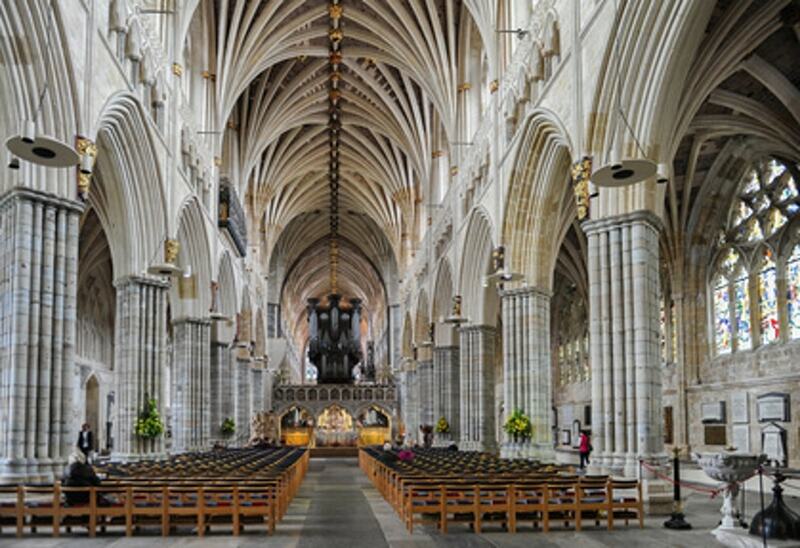 The first cathedral at Exeter was started about 1000 years ago. It was torn down and built upon several times until the present cathedral was finished about 1400 AD. As a feat of engineering, it is remarkable. Using no modern tools or equipment, medieval builders managed to construct the longest uninterrupted vaulted ceiling in the world. The earliest misericords in the UK are here: they were used to support the tired bottoms of the faithful. Elsewhere, the medieval astronomical clock is one of the best examples found anywhere on earth. The acoustics are astounding, try get there when the choir are singing evensong. It is unforgettable. The oldest settlements in the UK are found in Dartmoor. Dating back to the Neolithic period, there are standing stones, stone circles, menhirs, stone rows, caves and carvings dotted around the impressive and sparse moorlands. You can visit archaeological sites, check out the museums that are in nearly every town and village in and around Dartmoor. Buckfast Abbey is one of the most impressive sites, nestled deep in a valley. Look for the Dartmoor ponies too. A 600 year old fortified manor house that is now open to the public, Powderham Castle is one of the most beautiful castles in England. It is still the seat of the Courtenay family, an ancient line that stretches back to before the reign of Henry II. They got the castle in 1325. You can explore most of the castle, which is kept in excellent condition. Unlike most English castles, it was not blown up entirely during the Civil War. Few places in England offer such history. During preparations for the Allied invasion of Western Europe in 1944, the Allies mounted a rehearsal at Slapton Sands named Exercise Tiger, or otherwise known asOperation Tiger. It went terribly wrong, with 946 American servicemen losing their lives. The Germans had discovered the plan and used their fast attack boats (E-Boats) to harry and attack the landing craft. They sunk 2 landing craft and almost destroyed another. Elsewhere, live fire exercises killed dozens of soldiers as they advanced up the beaches. The local museum at Slapton tells the story tastefully and movingly. It is a must for history buffs in Devon. A revolution in lighthouse technology, Smeaton’s Tower saved countless lives and has had an interesting history to boot. The engineer, John Smeaton, rediscovered a type of concrete that the Romans had used that could be used underwater. Smeaton proposed constructing the lighthouse out at sea, something that had never been attempted before. It was first lit in 1759 and continued until 1877, when it looked like it was about to fall into the sea. Being so historically important, they dismantled it and rebuilt it where it now stands on Plymouth Hoe. You can explore the tower and see the original base still sticking out of the waves. Fancy a trip on a real train? The South Devon Railway has a few steam engines, kept in spotless conditions, to ferry you and your friends and family between Buckfastleigh and Totnes. Travel in style in some of the most beautiful terrain in England. Kids and adults will love the sounds, smells, and slower pace of travel that make steam trains so enduringly popular. The final standing ground of the rebels in the Prayer Book Rebellion, Sampford Courtenay is ancient, quiet, and very beautiful. Protesting against the Book of Common Prayer, an unpopular change in the national theology that forced English on the still largely Cornish speaking people, people in the West of England rose up to try stop it. They failed and they were finally defeated in this small, bucolic village. What better way to finish a day’s historical rambling than with a tour of a gin factory? The Black Friars Distillery is the sole remaining distillery in Plymouth, built in 1431 as a monastery. It has been producing fine gin since 1793, and remains the oldest continually producing gin distillery in the world. Very distinct to London gin, it is slightly drier and can be drunk neat (the reason for its popularity around the Empire!). You can take a stroll around the distillery, try some of the gains on sale, and absorb some of the great history. The sloe gin is particularly good. This entry was posted in Places To Visit In Devon and tagged historic Devon on July 5, 2018 by admin.